Pescara, the gateway to the rugged mountainous area of the Abruzzo region, is framed by the stunning snowy peaks of the Apennine Mountains. The land tumbles through the hilltop villages and down to the blue waters of the Adriatic Ocean. In the town of Pescara itself, the long ten-mile stretches of wide, clean and sandy beaches and superb food and wine explain why it is a favourite vacation getaway among Italian travellers seeking to enjoy both beach-side relaxation and mountain adventures. Newspapers: Corriere della Sera (has an online section in English at www.corriere.it/english ). Opening hours: Shops are usually open from Monday to Saturday; some shops may be closed on Monday. General opening hours are from 9am to 1pm and from 4pm to 8pm. Banks are open until around lunchtime and then they reopen in the afternoon for an hour, closing at 2.15pm. Larger hypermarkets are open 9am-9pm. 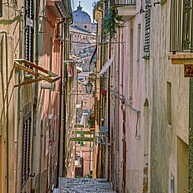 Pescara has something to offer for everyone. Its long sandy beach invite for lazy days in the sun, the Old Town and city centre attract shoppers and history lovers who want to spend their days in museums and watching impressive buildings, and the surrounding area, with its beautiful natural landscapes, is made for trekking and biking and active travellers. 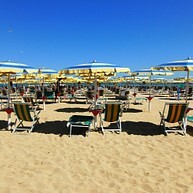 The ten-mile stretch of wide sandy beaches along the Adriatic coast is what makes Pescara a favourite holiday resort for thousands of Italian families and an increasing number of foreign visitors. 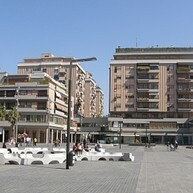 The long promenade, Viale della Riviera, is the real heart of Pescara, and a stroll along the seafront is essential for any visit to the town. Along the beach you can also join one of the stabilimenti, clubs where you can find restaurants, playgrounds and permanent umbrellas to use on the beach. This historic art museum is dedicated to the work of Basilio Cascella and some of his family members, who were key figures in the Art Nouveau movement. Stroll among the pieces of furniture, paintings, pottery, pictures and postcards in their former workshop and admire the creative genius of this influential family. The Museum of the People of Abruzzo ("Museo delle Genti D’Abruzzo") displays the local traditions of the Abruzzo region. The entrance fee includes an audio guide that will allow you to learn about the history and traditions of the region and of its local people while wandering around the museum. Piazza della Rinascita is the centre of public life in Pescara, and as such is bursting with life both in its public space and in its elegant cafes. There are few better places in the city for people-watching, admiring the facades of the surrounding palazzos and enjoying the afternoon sun. On Corso Manthoné lies the birthplace of the controversial poet Gabriele D’Annunzio: it is now a museum with a collection of his letters and documents. A follower of Mussolini, D’Annunzio helped shape the dictator’s philosophy, and wrote poetry inspired by the Abruzzo region. This cathedral is dedicated to the patron saint of the city, and it boasts some magnificent artwork, as well as the marble mausoleum of Gabriele D’Annunzio's mother. It was built in the beginning of the 20th century, although the façade had to be reconstructed after it was damaged during World War II. On the façade of this governmental palace (Palazzo del Governo) you can see a collection of statues by Guido Costanzo, from Ortona. 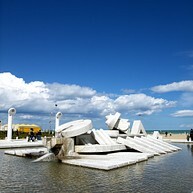 The four large sculptures symbolise the Mines, Agriculture, the Sea and the River, the four foundation pillars of Pescara. In the Hall of the Provincial Council you can also admire large bronze busts of poet Gabriele D'Annunzio. Located only twenty minutes from Pescara, Chieti is a pleasantly provincial hillside town. A magnificent Gothic cathedral looms over the town, offering fantastic views of the surrounding mountains. The local Archaelogical Museum (Museo Nazionale Archeologico di Antichità) is particularly intriguing. The museum is found in a villa surrounded by a park and contains various archaeological finds, such as Roman statues and tombs. Many visiting Chieti will also take some time out to visit Lanciano, a small town rich in Renaissance history with particularly well-preserved historical quarters in the Abruzzo region, easily accessible by train. The town is famous for being the site of the first alleged Catholic Eucharistic Miracle to be recorded. 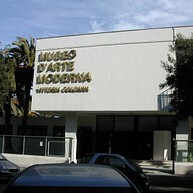 The Museo d'Arte Moderna Vittoria Colonna is a small museum with a wide range of works by Italian and international artists. 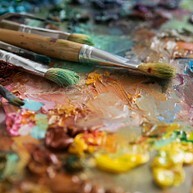 They have a permanent collection with paintings by Miró, Cascella, Michetti and Picasso, among others. The building was designed in the 1950s and the museum opened here in 2002. "Riserva Naturale Pineta Dannunziana" is a small natural reserve and park located in the south of the city, more commonly referred to by locals as Parco D'Avalos. 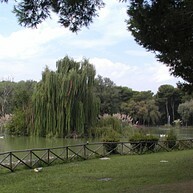 The citizens of Pescara love to take advantage of of the vast green space and can often be seen jogging along the numerous paths or resting in the grass, admiring the swans and turtles. 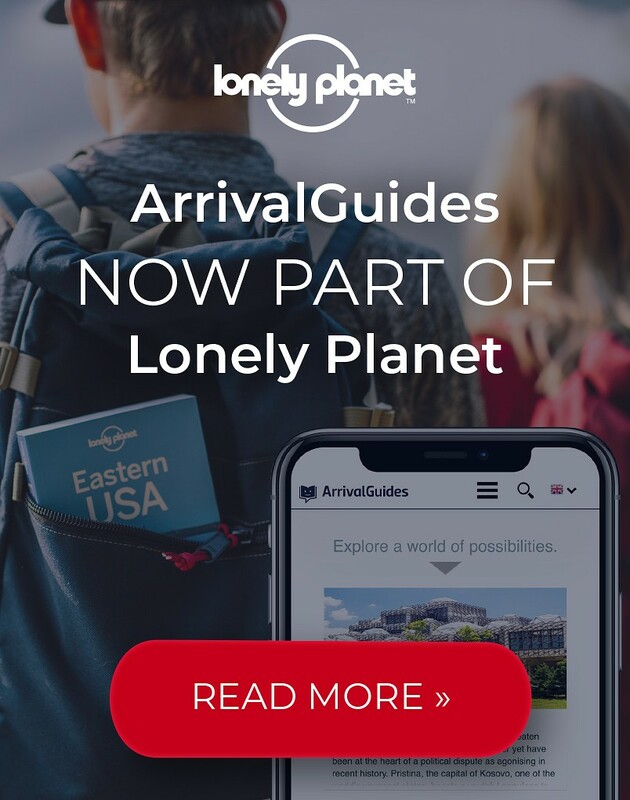 Guided tours and activities are available. The small town of Guardiagrele is another great option for a short day-trip, but it is not reachable by train, so visitors are advised to hire a car. It lies in the foothills of the Maiella mountain, and the stunning views of the surrounding region led Gabriele d'Annunzio to nickname the town "the terrace of Abruzzo." 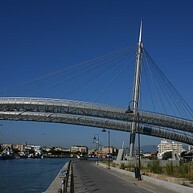 The impressive Ponte del Mare (Sea Bridge) is a pedestrian and cycle suspension bridge located right by the sea-front. 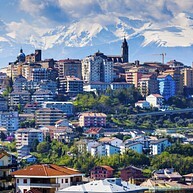 It is the largest in Italy, and one of the largest in Europe. Visitors can stroll along its winding 466-metre length to get a great aerial view of the area and feel the refreshing sea-breeze on a hot day. An evening stroll along Lungomare Giacomo Matteotti is a uniquely Pescara experience. With the beach on one side and a line of restaurants and cafes on the other, you will eventually end up at the interesting fountain Nave di Cascella, designed by Pietro Cascella using marble from Carrara. This stunning building from the 1910s was once a bath-house for the wealthy of Pescara, as well as a liqueur distillery. Today it houses one of the best and most innovative art spaces in the city, hosting regular exhibitions, live performances and conferences. Its fancy name, "Aurum - La Fabbrica delle Idee", means "Gold - The Idea Factory".